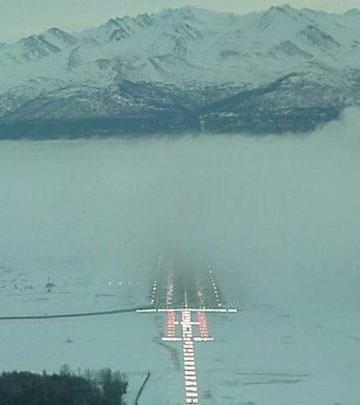 June 27, 2010 - Air traffic controllers in the Alaska region are now officially using Next Generation Air Transportation System (NextGen) technology to improve safety and efficiency in Alaska’s rugged terrain. The system Automatic Dependent Surveillance-Broadcast (ADS-B) – is a core technology under NextGen. ADS-B provides benefits to both pilots and air traffic controllers. Pilots flying aircraft equipped with ADS-B know precisely where they are and are able to see other aircraft. ADS-B gives pilots a greater situational awareness when they are near bad weather and also allows them to receive updated flight information including Notices to Airmen and Temporary Flight Restrictions. Air traffic controllers use ADS-B to keep aircraft safely separated in the sky and on the runways. “Air travel is the primary means of transportation in Alaska so it’s critical to make sure flying is as safe as possible,” said FAA Administrator Randy Babbitt. “While the landscape in Alaska is absolutely beautiful, its terrain can be challenging and ADS-B is making a real difference.” Alaska was the initial test site for ADS-B under a pilot project called Capstone from 1999-2006. Through the Capstone project, the FAA equipped hundreds of general aviation aircraft in Southeast Alaska with ADS-B avionics and installed ground-based infrastructure. Pilots were able to see on their displays where they were in relation to bad weather and terrain and the fatal accident rate was cut nearly in half for equipped aircraft. The success of the Capstone project led to the FAA’s decision in 2005 to deploy ADS-B nationwide. Alaska is one of four key sites that the FAA selected to test and demonstrate ADS-B services. The other sites include Houston and the Gulf of Mexico, Louisville, KY and Philadelphia. Each key site offers a different airspace environment. The NextGen plan calls for nationwide deployment of ADS-B by 2013.